Difficult situations are a part of life. Throughout the day, there will be a number of things that do not go exactly how you would like them to. You may be forced to make decisions that you do not necessarily want to make. If you make choices from a negative state, such as anger or frustration, it can have unfavourable outcomes for all involved. It is therefore critical that you make these decisions from a “still and neutral” position. When you are #calm, you can often see things for what they really are. #Calmness will help you make better choices, as your negative emotions are not clouding your thoughts. 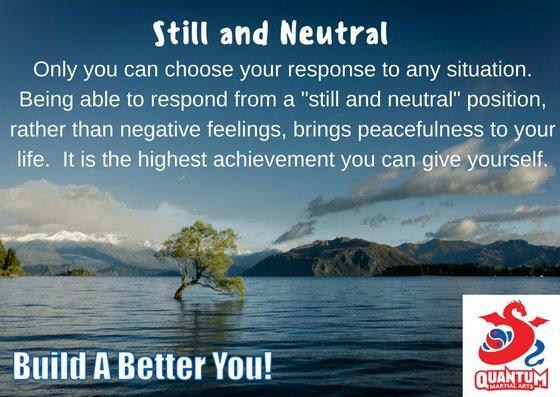 And when you make choices from a “still and neutral” position, it brings #happiness and #peacefulness to your life. This helps everybody around you. This is a tremendous gift to yourself and others.